Well, that didn’t take long. Rumors broke last week that Russell Crowe might be screwing on the metal helmet for the lead role in the Robocop remake. Now, a mere five days later, the actor himself has shot down the speculation courtesy of one-word response: “no.” Clear, concise, no real way it could be misconstrued. But let’s give it then old college try anyway, shall we? The rumor originated in a tweet by Variety reporter Jeff Sneider, so it’s only appropriate that Crowe issued his denial via the same service. A Twitter user asked Crowe, “the next Robocop?” to which Crowe responded with the simple “no.” That presumably means he hasn’t been approached about the role and isn’t in talks for it…which doesn’t necessarily mean the producers aren’t thinking about him and won’t try to land him at some point in the future. It could also mean that he wouldn’t be interested in the role even if offered it, which wouldn’t surprise me terribly. As interesting as it might be to consider, Robocop doesn’t really seem like the sort of role Crowe would take these days. With the film aiming for a summer start, expect more casting rumors over the coming months. Who knows, maybe they’ll even end up signing one of the actors who’s already been rumored for the role, a club that includes the likes of Star Trek‘s Chris Pine and X-Men: First Class‘ Michael Fassbender. Hell, if they want somebody who can convincingly play a blank, emotionless robot, somebody should call Channing Tatum. Literally moments after we posted the original story below about screenwriter Nick Schenk signing on to write Robocop, we heard word about a possible leading man: Russell Crowe himself! What do you think about the prospect of Russell Crowe as Robocop? It’s odd that his name would be floated, since he’s also been rumored as the lead for the Noah movie being made by Darren Aronofsky…the last director who was going to helm the Robocop remake. Strange things are afoot at the Circle K.
Assuming we have to have a RoboCop reboot in the first place, it would have been interesting to see what kind of movie Darren Aronofsky would have given us. Sadly, that’s not to be; Aronofsky bailed and Brazilian director Jose Padilha took the helm. Padilha’s resume definitely doesn’t compare to Aronofsky’s, but thanks to some details he has revealed in a new interview with Bleeding Cool, he does at least have an interesting take on the material. Padilha says his version of RoboCop will be, at its core, the story of “a man being turned into a product by a corporation.” The new film will move away from the original’s themes of police corruption and instead focus on broader technological and ethical concepts. He wants to use the science fiction premise of a man being turned into the future of law enforcement to explore the implications our own imminent future. 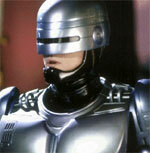 New Robocop Movie About Building The Future Of Law Enforcement? Brazilian filmmaker José Padilha is working on rebooting Robocop. We’ve been calling it a reboot because, well, no one is entirely sure what form this new Robocop movie will take. Is it a remake? A sequel? A prequel? We still don’t know but he has offered a few more details on what his vision for the new film will be. I can tell you this: In the first ‘RoboCop’ when Alex Murphy is shot, gunned down, then you see some hospitals and stuff and then you cut to him as RoboCop. My movie is between those two cuts. How do you make RoboCop? How do you slowly bring a guy to be a robot? How do you actually take humanity out of someone and how do you program a brain, so to speak, and how does that affect an individual? So the movie isn’t so much about Robocop stomping the streets as it is about the scientists who built him? That seems like a strange approach. Isn’t half the fun in these movies watching him take out bad guys? I suspect there has to be more to it than this, though the idea of a movie that takes place as part of established Robocop cannon is appealing, assuming that’s what he means here. It was hard to get a feel for just what kind of a performance he was giving, hidden underneath the metal armor of Robocop, but, Peter Weller was a better actor than any of us ever imagined. If you watched Dexter last year, you know what he’s talking about. Matched up against television’s champion serial killer he stole every scene. So now they’re working on a Robocop remake and, my chief concern is that they’ll never be able to find anyone as good as Weller to play the character. It’s hard to imagine anyone else pulling something so fantastically difficult off. At least though, it seemed like they might be able to come up with something worthwhile when the redo was the brainchild of auteur Darren Aronofsky, but now they’re jettisoning all of his ideas. I have my own take on Robocop. I know what his take was and it’s totally different. It’s a different thing, different kind of film, even different period in time so I haven’t read his previous work. Padilha is no Aronofsky. He’s never made anything even close to as big as this Robocop remake will be. Mostly he’s been making Brazillian indie movies. That could either be good, or bad for Robocop.